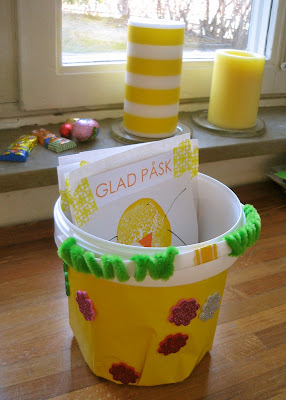 In Sweden we tend to mix traditions, and at Easter rabbits and eggs are mixed with feathers and witches. 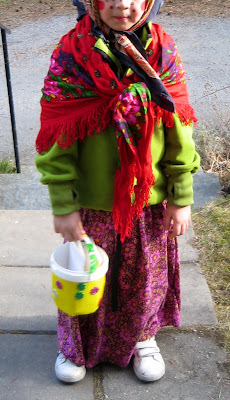 The traditional Swedish Easter witch (påskkärring) goes to the mountain of Blåkulla on what I think is called Maundy Thursday. Today, that is. So, today is the day when all Swedish kids (and some of their accompanying moms) dress up as witches. The set-up is the well known Halloween one, but in order to get candy on Maundy Thursday you have to provide a home-made Easter card. This year we kind of excelled in potato printing. A decorated the bucket himself. And chose the outfit. All set! 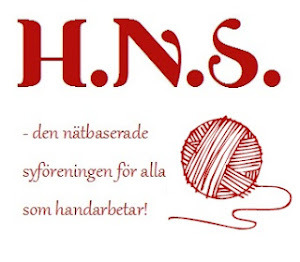 Äntligen skärtorsdag hurra hurra. Vi pysslade ihop påskkort och en påskhink att ha kort och framför allt godiset i. Sedan var det bara att tåga iväg.